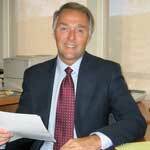 Mr. Cardiff has been the editor of Sound Advice since its inception in 1988. From 2000 through 2017, the Sound Advice model portfolio has produced an average investment return of 9.6 percent annually, as compared to 3.2 percent annually from the S&P 500 over the same period, for an annual percentage return in excess of 3 times greater than the S&P 500. These figures are in close agreement with those published by the Hulbert Financial Digest, an independent monitor of approximately 500 newsletters owned by MarketWatch/Dow Jones. The Hulbert Financial Digest is the watch dog for the newsletter industry. For the last four consecutive years, SoundAdvice has made the Hulbert Honor Roll for its top performance in both up and down markets since March 2000. Hulbert says: "It shouldn’t be that difficult...But it is. A newsletter that consistently does well when the stock market is going up tends to be a big loser when the market heads south -- and vice versa. This in turn suggests that making it into the Honor Roll really means something..."
…For the past dozen years, the Hulbert Financial Digest has constructed an annual honor roll of those services that performed better than the average adviser in both the up and down phases of the three previous market cycles. Currently, only 12 have done so. [Sound Advice has made the Hulbert Honor Roll for the last 4 consecutive years – see the table above.] The remainder do well only when the market is going their way. Those who focus on risky small-cap growth stocks, for example, are near the top of the performance rankings when the market is rising and near the bottom when the market is falling. The goal isn't to identify advisers who make the most money at all costs, but rather the ones whom risk-averse investors can live with through thick and thin. 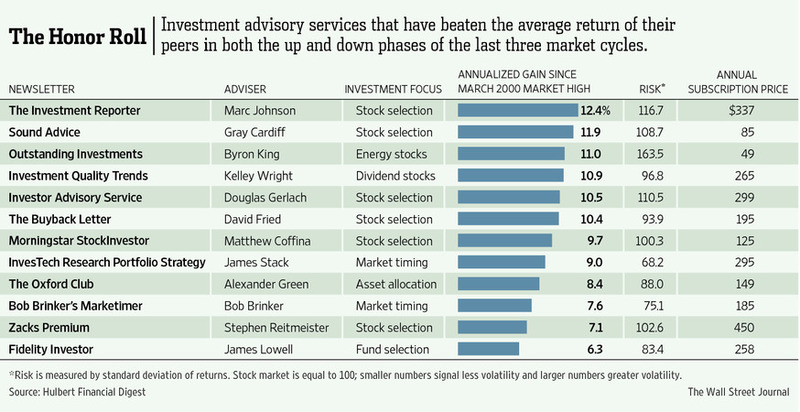 Still, it is worth noting that, over the past 15 years, the advisers making it onto each year's honor roll on average over the subsequent 12 months went on to make 1.2 percentage points more a year than those who didn't, while nevertheless incurring 25% less risk, as measured by volatility of returns. That is a winning combination.